Primates are undeniably a challenging pet to keep, but some species are so small, they pose little threat to the public beyond bite wounds no worse than what small dogs can inflict. Primates are one of the most popular captive species feared for spreading deadly viruses to humans, but actually finding an occurrence of this will prove to be a challenge in itself. In reality, monkeys are prone to catching diseases from humans, which can be a significant threat to them and adds to the challenge of their care. This is one of the few states that still allow a vast number of exotic animals including some species of big cats, bears, and wild canines. In most cases, illegal animals in North Carolina consist of animals that are native to the United States, are rabies vectors, and some select potentially invasive species. This leaves all primates (those not controlled by Federal legislation) legal in the state. There is one massive catch, unfortunately. Most North Carolina counties ban many exotic pets or require extensive conditions. 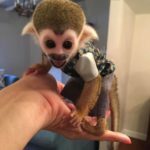 There are a small number of counties where monkeys are fully legal, however, and exotic pet owners tend to flock there. Like all animals, monkeys can bite and cause injuries. Unlike domesticated dogs, they’ve never caused any fatalities. There are also no known occurrences of fatalities from zoonotic disease or serious illness in the United States from pet monkeys in recent history. All primates in the Sunshine State require permits, but some of these permits are simple to acquire. There are some larger species of primates that require a Class 2 license, effectively making them illegal for regular pet owners, and some of these are howler monkeys, macaques, vervet monkeys, and guenons. All great apes, gibbons and baboons are Class 1 wildlife which requires “substantial experience” to get a permit to own. Capuchin, spider, and wolly monkeys require the submission of documented experience and a reference letter from a licensed professional facility in addition to the Class 3 license. This state is considered to have extremely lenient exotic pet laws; however some animals like foxes and other native animals are not legal. All primates are legal in the state. Ohio used to be an exotic pet-friendly state until a task force aiming to restrict private ownership was empowered by an incident where one man allegedly released his big cats and other carnivores and committed suicide. Unfortunately as a result, most primates are illegal and the remaining species, which seem to solely consist of lemurs, specified marmosets (of which only one on the list is found in the pet trade), squirrel monkeys and capuchin monkeys require registration. The requirements of registration are relatively extensive. The animals must be micro-chipped and the applicant must provide substantial information. Bizarrely, the Ohio code lists specific primates that are illegal that include smaller monkeys like titi monkeys, tamarins, and a few other species that are rare or non-existent in the pet trade, leaving out many larger primates such as macaques, gibbons, and even great apes. Does this possibly mean that these species are unregulated and therefore legal even without registration? In the Lone Star State, specific animals are named as being illegal. Primates that aren’t great apes and baboons are legal. This state names the following primates (all great and lesser apes) as ‘wild animals’ and makes it illegal to own them: gibbons, orangutans, chimpanzees, siamangs, and gorillas as well macaques and baboon species. Other monkeys should be legal. This state has relatively lax laws on primates as long as you aren’t interested in great apes, lesser apes, and baboon species. Those large primates, including chimpanzees, orangutans, geladas and gibbons, are considered Class 1 or Class 2 wildlife and are illegal for pet owners. All other primates are legal and no registration is required, making Tennessee a very primate-friendly state in comparison to others. Primates should be legal in this state, as only certain native animals and rabies vectors are cited as being regulated. This state has enacted legislation where people can apply for a permit for an exotic pet from the state Fish and Game director. Assuming that this permit is obtainable and the requirements aren’t unfair or excessive, this would make all primates legal. This state has a permit system for “dangerous exotic animals” but the only primates considered to be such are gorillas, bonobos, and orangutans. All other primate species should be legal. Certain large primates, apes, baboons, and macaques are banned in Arkansas, but other primate species appear to be legal. There is a requirement that all primates need to be registered, however, and their enclosures must meet or exceed the requirements set forth by the USDA, which is not unreasonable. There is also a law that restricts the primate owner from having the monkey roam at large (very reasonable) or having public contact with the animal (less reasonable). The Wyoming Fish and Game Department issue permits for most species of exotic animals, also called “living wildlife”, and the only exceptions that don’t need one are common pet and farm animals. This makes primates legal provided that these permits are actually obtainable. A Non-Traditional Livestock permit is required to own ‘Category 3 Animals’ which includes primates, bears, wolves, venomous reptiles and big cats. These animals are “subject to additional housing and care requirements”, which vary according to the species. For primates, there are disease testing and caging requirements. For example, an indoor primate enclosure should be at least two square feet per pound of adult body weight for each primate and a 50% increase for each additional primate. There should be a primary enclosure, or indoor enclosure within a building and a perimeter fence for outdoor enclosures (even though all primates can climb well). A Captive Wildlife Permit is needed to possess a few exotic species such as wolves, skunks, and big cats, but there are surprisingly no regulations on primate species. Larger exotic animals are banned in Kansas, but some smaller exotics such as porcupines and monkeys are not. Looking for information on fennec foxes as pets or where to find them for sale? You’re not alone. These Chihuahua-sized canids are becoming increasingly popular exotic animals that people seek to own, and for good reason. 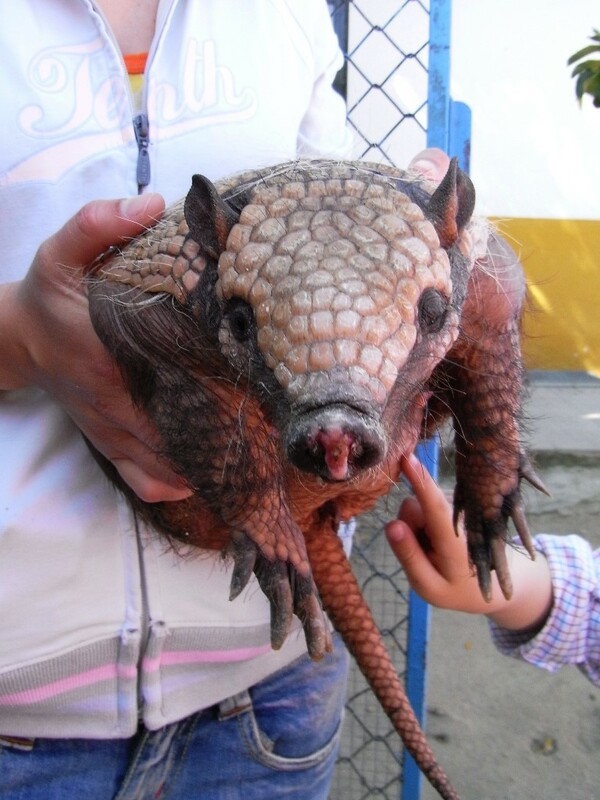 They are often touted as one of the ‘easier’ exotic pets to maintain as a house pet, as they are seen as clean and can be kept in a relatively small enclosure. But not so fast; before considering adding this tiny fox to your household, be sure that you understand what you’re getting into. Be realistic about what to expect from an animal that is a fox species, not a pet selectively-bred by humans to be unusually docile and adaptable to typical pet-keeping practices. Fennec foxes come from the Sahara of North Africa and are nocturnal. They are the smallest species of canine. They are hunted for their fur by indigenous people. Their large ears aid in thermoregulation and are also sensitive to detect prey underground. They are omnivorous, consuming small animals, insects, plants and eggs. They are adapted to living in a low-water environment, consuming the majority of their water intake from plants. Before even considering a pet fennec fox, you’ll want to ensure the species is legal in your state. Unfortunately, animals in the fox family are commonly banned in most states because wild, native foxes are rabies vectors and there are no approved rabies vaccines for them. Such vaccine-development requires expensive research that has only been conducted for the most typical pet species (dogs, cats, and ferrets) and farm animals. Here is a list of some states where fennec foxes (not all foxes) are probably legal for average people to own without a special license or exhibitor permit. Unfortunately, one can never know for sure because animal laws frequently change and information becomes outdated, so you must call your state’s Department of Fish and Game yourself or find a reliable owner to help you. In addition, check your local municipalities, home owner associations, and landlord policies, as these can also affect fennec fox legality. What’s it like living with a fennec fox? A quick search of fennec fox videos on Youtube shows just how energetic and noisy they can be. They are extremely fast and excitable. Particularly when their owners come home, they will squeal with delight. However, this energy burst is thankfully not continuous. Most of the time fennec foxes are sleeping, similarly to cats. These are playful animals that enjoy interacting with their ownrs, which is not something you will always get with non-traditional pets. Still, being foxes, don’t expect to grab them and cuddle them as some common domesticated animals will allow. 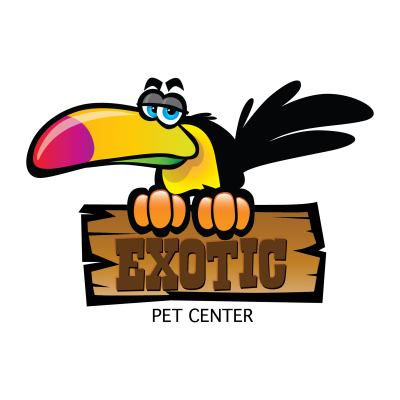 With exotics, it’s always best to let them come to you. Fortunately, many fox owners get this cuddly down time with their animals at some point, once they calm down. Like cats, they will have an independent and aloof personality, as well as skittishness. A good cage will ensure the comfort of your pet and will encourage a positive relationship between the two of you. With an animal that is so high energy, enough room to perform species-specific behaviors is a must. Fennec foxes are slightly more adaptable to domestic conditions than other uncommon exotic mammals, and you can ‘get away’ with somewhat small housing, such as a foldable, standard-sized cat cage. The catch to a small cage is that the fox must have ample time to come out to play and burn off energy. This might be more difficult than it sounds to achieve daily. A reasonable recommendation for caging are two attached Ferret Nation cages or something similarly-sized, but bigger is of course better and will make caring for the fox easier. People feed their fennec foxes various diets. While fennecs are omnivorous, it is often stated that they need higher levels of taurine in their diets like cats; therefore many are fed cat food. Since fennecs are not really domesticated, many owners feel they should feed them a diet similar to what they would get in the wild. This means raw meat, feeder insects, fresh vegetables, and rodents. Sometimes people feed live mice, but this is utterly unnecessary and not a humane option. You are unlikely to secure any food sources that a fennec fox will find in the wild, so the logic of a ‘natural’ diet doesn’t make much sense. A high quality commercial diet will ensure that your pet is getting a nutritionally balanced meal. Raw or cooked meat, eggs, and frozen feeder mice can be added to supplement the diet and provide enrichment. Fennecs can also accept pet-friendly fruits and vegetables. Some owners report that their pet fennec foxes will use a litter box, but most say their use of these receptacles are sporadic at best, and the foxes will think nothing of depositing droppings during cage outings. Never expect exotic pets to be consistent with litter box use, if they use it at all, but some individuals are better than others. You can encourage foxes to go in one area with positive reinforcement, or just place a litter box where they tend to go most often. Luckily, being desert animals, fennec foxes have relatively dry droppings that are easy to clean, and less urine. They also lack the potent scent glands that are common in so many animals. Obviously, fennec foxes and other animals should be purchased from a licensed and reputable breeder. Sometimes exotics are offered for sale online, but it is illegal for anyone without a USDA license to sell them. You’ll also want to use a breeder that will give you honest information on how to care for the animal and what it’s like. This leaves a limited number of places where the fox can be obtained. You will likely need to use a breeder that won’t be located near you so shipping with an Airline will be a necessity, unless you are willing to drive out to pick up your kit (this is recommended if possible). Fennec fox kits are placed into homes at a young age to allow proper bonding. If you’re looking for a semi-cuddly (with consistent taming techniques), adorable, and non-smelly pet, you can’t really go wrong with a chinchilla. These incredibly fluffy rodents originate from the Andes Mountains in South America, and their enclosure requirements are not enormous relative to their size. They are considered by most of their owners to be odor-free, and only smell if they have a health problem. If a pet chinchilla does smell, there could be an issue such as a tooth infection or serious gastrointestinal problem. These relatively neat animals will pee in a litter box, making their cleaning easy. Like most small rodents, they poop frequently, but their droppings are small and dry, causing little odor unless allowed to accumulate with no maintenance. The way chinchillas keep their luxurious coat clean and odor-free is one of the joys of owning the animal. They will frequently take dust baths in special ‘chinchilla dust’ that is sold specially for them. Unfortunately, these unusual rodents are rare in the United States pet trade and even in nations where their importation hasn’t been banned due to a monkey pox scare in 2003 where the springhares weren’t even indentified as carriers of the virus. If you can get your hands on one of these special creatures, you will find that their body is odor free and their droppings just have a mild scent if allowed to accumulate. Australia’s iconic mammals can also make relatively good pets, provided they have a decent outdoor space. Wallabies can be described as ‘cat-like’ in their cleanliness, and their rabbit-like droppings, which are not odor-free, are easy to clean. As wallabies should be housed outdoors most of the time, even the smell of their poop should not be an issue. In a smaller space, the poop can be smelly if stepped on by the animal. When it comes to keeping a fox as a pet, fennecs are winners because their small size and lack of smells makes them suitable as house pets. Compared to other fox species, fennecs have very little odor that only decreases even more if they are neutered. Red, grey, and arctic foxes actually have a pungent smell that is similar to skunk smell. The droppings of fennec foxes are not odor-free, but the desert animals produce dry poop that is easy to clean. Fennec foxes do not have a strong body odor, but they can briefly emit a musky odor from a scent gland on the tip of their tail when they get started. While a healthy portion of the population fears these reptiles, snakes actually make some of the best pets imaginable. They don’t need a lot of space, they don’t need to be fed every day, and they are not demanding when it comes to owner interaction and can simply be interacted with whenever the owner feels like it, provided that this doesn’t stress the animal. They are also odor-free animals and this is only enhanced by the proper husbandry and substrate. With the use of a high-quality bedding such as coconut fiber based shreds, even after their occasional defecation, there won’t be much of a smell. Some smaller snakes can actually release a defensive musk when handled by their owner, but that is pretty much the only exception. While these small deer do not smell like newborn babies as some sites like to claim, they are still relatively clean animals that can be litter-boxed trained with some effort. Muntjacs, like wallabies, should have outdoor room to frolic in even if they are kept as house pets. Pigs can have a reputation for being unclean and sloppy with a love for rolling in mud and needing to be housed outdoors. Pot-bellied pigs, however, are commonly owned as house pets and raised in the same manner as dogs. Generally they are very clean animals, however there are exceptions; males that are not neutered can have a smelly foam that they secrete from their mouth and foul-smelling discharge that comes from their male reproductive organ for the purpose of scent marking. Neutering male pigs is recommended because it also eliminates their chances of testicular cancer. Aside from this, pot-bellies are clean, also being free from being flea-prone and are relatively non-allergenic. Just be sure to keep the pig clean; they are not small animals despite what many photos online and the misleading name ‘mini pig’ suggests. Armadillos should have a varied diet in captivity consisting of protein-sources appropriate for insectivores and smaller amounts of plant matter. The best place to explore feeding options is to find out what zoos feed their armadillos. Some use cat food, commercial insectivore diets from dealers such as Mazuri, and live feeders such as wax worms and mealworms. Other supplementary food items can include hard-boiled eggs, sweet potato, apples, and other fruits and vegetables. Of course, continued research for the best diet should be conducted. When you first acquire the animal, the seller will likely provide advice on what diet to start with. Again, the proper cage will be essential for the welfare of your armadillo because enrichment opportunities will be enhanced. Important enrichment for armadillos includes cage furniture such as tubes and tunnels, toys such as balls, training sessions, and forging opportunities. With a favored food item, keeping armadillos busy should be relatively simple. Hide their favorite treats throughout the enclosure or within the substrate for them to find, or place them in treat-dispensing balls. These animals also enjoy different scents to explore. Armadillos, like all mammals, can even be trained with their favorite treats to perform simple behaviors that can be essential in their husbandry. The bigger the enclosure, the easier it will be to keep your pet busy. Want To See More Of What We Have ? SHOP NOW!